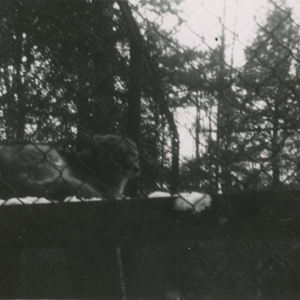 This photograph depicts a coyote in a pen at Dr. McCleery's lobo wolf park, located along Route 6 five miles east of Kane, PA. 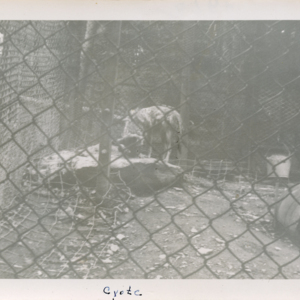 This photograph depicts a coyote standing on a large rock in a pen at Dr. McCleery's lobo wolf park, located along Route 6 five miles east of Kane, PA. Two other photos that Aneta Johnson donated have the date 1952 written on the back, so I assume this photo was taken the same year. 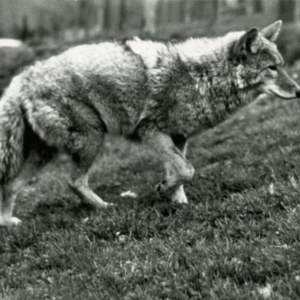 This photograph depicts a coyote at Dr. McCleery's lobo wolf park, located along Route 6 five miles east of Kane, PA. 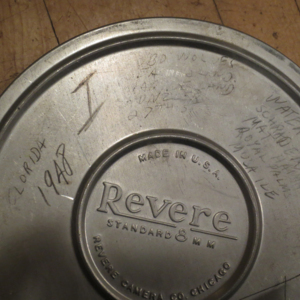 I believe (but am not certain) that Dr. McCleery acquired coyotes after 1940. A retrospective article that describes the events of ten years ago (1921). 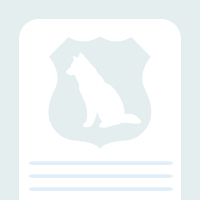 One such event is the fate of two coyotes sold to Dr. McCleery as timber wolves. Partial text of the article (everything relevant to Dr. McCleery) is quoted below.